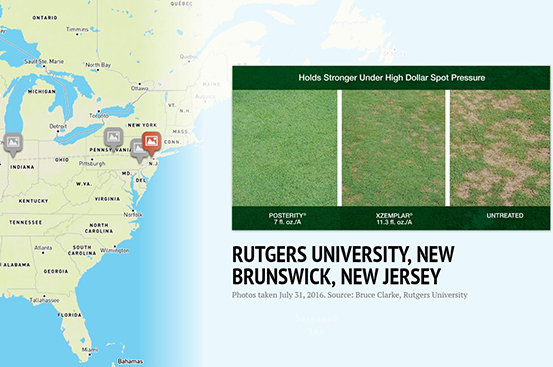 Monitor pressure and receive alerts when conditions are prime for dollar spot in your area. See trial photos, data charts and videos featuring Posterity® and Secure® Action™ fungicides. A comprehensive agronomic program will help prevent dollar spot, and condition your turf to perform at its best and recover from stress. The latest updates from researchers who are committed to helping you control dollar spot. This tool is based on the model developed by Damon Smith, Ph.D., associate professor and extension specialist, University of Wisconsin-Madison, and Jim Kerns, Ph.D., associate professor and extension specialist, N.C. State University, et al. This model helps superintendents maximize resources by optimizing the timing of applications based on recommended thresholds for dollar spot development. 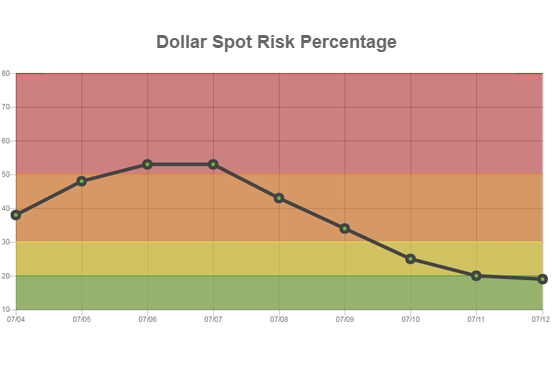 Input your zip code and select a date range below to see the dollar spot risk for your area. 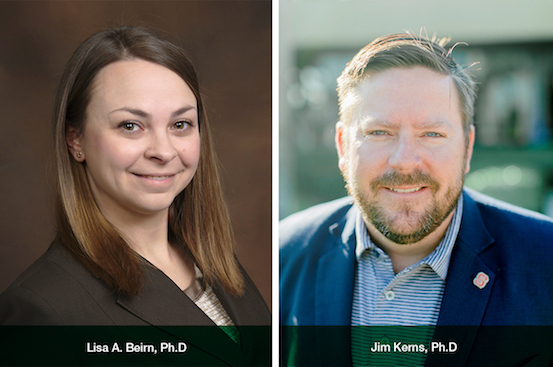 Research behind the Smith-Kerns model shows that dollar spot symptoms can be prevented if turf is treated with a solid dollar spot management program before or when the risk reaches a 20% threshold, and applications continue through the season. Sign up to be automatically notified of the dollar spot risk in your area. 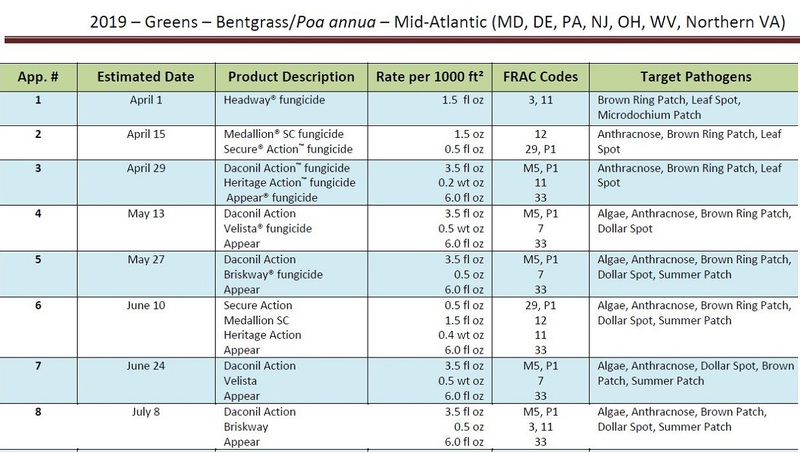 Posterity and Secure Action fungicides are the latest dollar spot control products in the Syngenta portfolio. 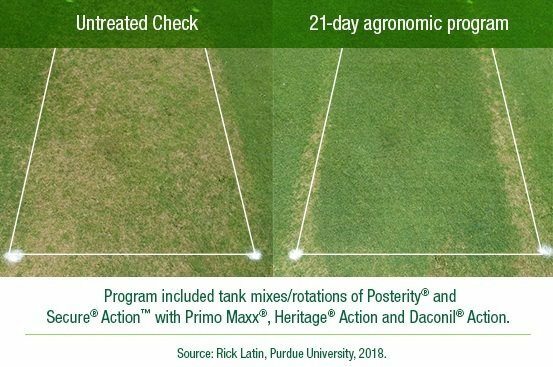 Posterity, the most-active SDHI in the turf market, holds strong for up to 28 days of dollar spot control plus consistent control of spring dead spot and fairy ring. Secure Action includes a boost of acibenzolar-S-methyl (ASM) to protect against biotic stress, like dollar spot, and abiotic stress, like drought and heat. Click on their respective logos below to learn more about them. Syngenta has thoroughly tested the performance of Posterity and Secure Action on golf courses and at research centers across the country. View the results, and watch interviews with independent researchers by clicking each marker below or clicking the arrows on the sides. When building an agronomic program, it is important to include multi-site contact fungicides like Secure Action or Daconil® Action™ as the foundation. It is also recommended to include fungicides with other modes of action like Briskway® or Headway® to manage resistance and control multiple pathogens, all season long. Below are sample programs to help you understand how to condition your turf to defend against dollar spot so it performs at its best and quickly recovers from biotic and abiotic stress. *Sample program represents rates used in 21-day agronomic program image above. To find an agronomic program tailored to your specific region and grass type, visit our Interactive Agronomic Programs finder. Or contact your local territory manager to order an agronomic program poster for easy reference all season long. Over the years, generations of SDHI fungicides have been widely adopted because of their broad-spectrum control. However, it is important to understand that SDHIs are single-site fungicides that only attack one point in a pathogen. If the disease mutates, the pathogen can overcome the action of the fungicide and prevent the product from actively binding to it, which makes the fungi more likely to develop resistance. For diseases that are highly susceptible to resistance like dollar spot and anthracnose, rotate after each SDHI application. Make preventive applications, which are active before a pathogen is present. Curative applications with SDHIs can accelerate resistance development as more pathogens are exposed to the curative application than the preventative application. If curative applications are required, Secure Action is an excellent choice for curative control for both efficacy and resistance management. Watch Lisa Beirn, Ph.D., research and development scientist at Syngenta, discuss her work surrounding the discovery of four new species of the dollar spot fungus. Jim Kerns, Ph.D. explains why he developed the dollar spot prediction model, and how it can help you make timely applications for dollar spot control. Mike Agnew, Ph.D., technical services manager at Syngenta, shares critical information about Posterity and Secure Action fungicides. Lisa Beirn, Ph.D., also shares an update about her research on new species of dollar spot in turf and a new naming structure. Learn more about key resistance management strategies, and how to condition your turf so it performs at its best and recovers quickly from stress. 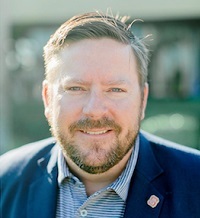 Earn 0.1 GCSAA education points with this webinar. Join the conversation on Twitter by tagging #Time4Posterity, #Time4SecureAction, #DollarSpotSolutions and @SyngentaTurf. In July 2018, Syngenta launched two fungicides for the turf market, Posterity and Secure Action, which deliver proven, long-lasting dollar spot control as well as other common turf diseases. New technology has allowed scientists to reclassify the pathogens that cause dollar spot in turf to a new genus and four different species. 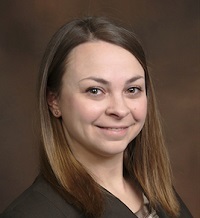 Research from Lisa A. Beirn, Ph.D. and Lane Tredway, Ph.D., technical services manager for Syngenta, (et. al.) showcases how dollar spot pathogens have been reclassified into a new fungal genus including four pathogenic species. © Syngenta. Important: Always read and follow label instructions. Some products may not be registered for sale or use in all states or counties. Please check with your local Extension Service to ensure registration status. Action™, Briskway®, Daconil®, GreenCast®, Headway®, Posterity®, Velista® and the Syngenta logo are trademarks of a Syngenta Group Company. Secure® is a registered trademark of Ishihara Sangyo Kaisha, LTD. All other trademarks are property of their respective owners.